N.B. Please, seriously, do not blame me if you continue. There are spoilers here that literally will ruin the last seconds of the season. You have been warned. Season three of Netflix’s wonderful House of Cards suffers from exactly what Frank Underwood suffers from: one can no longer be enveloped in intrigue when one is the President of the United States. What made Underwood such an engaging character, in fact, was all the wheeling and dealing he was able to engage in behind the scenes, whether that be politics or manipulating the lives of those around him. And that was possible for Representative Underwood and even Vice President Underwood, but for President Underwood, the stakes are much too high, the exposure too vast. What Underwood did brilliantly, even when illegal and immoral, was work in the cover of darkness. He could walk out of a subway station after having pushed his lover in front of a train or out of a garage after having left a car running with another representative sitting in a car. 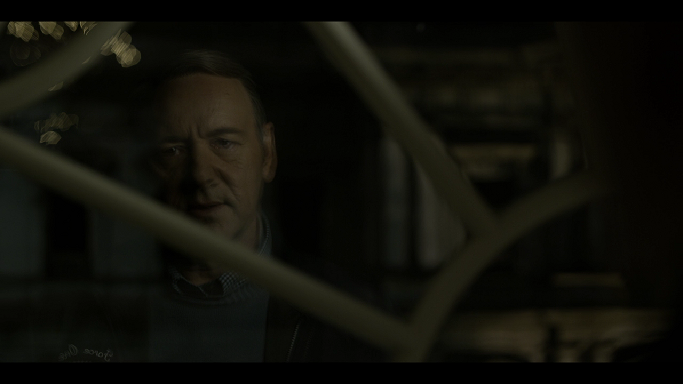 Underwood, like a clandestine agent, was able to walk in and out of situations that made the show interesting, even if it removed the realism from the series. However, for President Underwood, the privacy in which he thrived is gone, like it is for all Presidents in the age of modern media and technology. The President does not have the ability to sneak away under the cover of darkness in the same way that, at the very least, Underwood’s version of a Congressperson is able. President Underwood is the “Hotel California” president: he can check out, but he cannot leave. Further, the President suffers from another limitation, at least in the eyes of Underwood: the two-term limit, which has served us as a nation incredibly well, is a major issue for President Underwood. Whereas primary challenges and elections were forgone conclusions for the Representative, the term limitation means Underwood has only a set number of years to get anything done. If I recall correctly, a Vice President who ascends to the Oval Office may finish out the term of the President they served under (so President Walker’s term in Underwood’s case) and then run for two subsequent terms as President, though I believe everyone is limited to ten years. While this has not happened in our history yet, it seems plausible within the world of House of Cards. Consider, however, the alternative: Representative Underwood could remain in the House in whatever capacity for a lifetime, functioning more or less how he chooses. As President, he is severely limited and, regardless of Mrs. Underwood’s eyes for office or glory herself, Frank himself is very likely in the last job he will ever have. It is, however, at the point of achieving, seemingly, everything he had wished for and more since the opening episode of the series that he seems to lose his grasp on the things around him which made him so powerful to begin with. While he cannot escape the job of the President while still holding office, it is Claire who has the escape, the way out: when realizing that the glory was for Frank and not for the both of them, she has no trouble leaving. She has no trouble stepping away from him when the rules of the game have changed in front of her. Obviously, on one point, there can be no argument, which is that Frank Underwood is by no means a character to look up to, which in a way makes his impending downfall all the more welcomed and satisfying. Claire had to leave, regardless of the fact that she herself was not entirely innocent of the crimes Frank committed in order to reach the station in life they both desire. In three seasons, I have never quite figured out what that station is. Initially, I felt it was the slight of Frank being passed over for office. But that does not seem to be it: there is something deeper which drives the Underwoods and some glory which is always just out of reach. As the writer Tom Yates, who is hired by Frank to write a book on AmWorks, says, legacy is their child, the thing which they will pass down. But I have to wonder: at some point, ex-Presidents, even if they eventually become First Husbands, end up playing golf or saving the world by other means.. No one can do the job forever, which is the benefit I mentioned earlier of the 25th Amendment. So what, then, drives the Underwoods? Of course, we may not find out, but I believe this to be a central question of the series at the end of season three, especially as Claire has come to understand that that goal is at an end, that whatever glory they might hope to achieve together has truly slipped away. Ultimately, however, it seems that Frank has his own agenda, his own dreams, and whether or not he believed that his actions were both of them, clearly something has gone awry. Regardless, there are no easy fixes, either for America in during the Underwood administration or for the relationship central to the series. Even Stamper, who has had his own journey throughout the season and, in fact, throughout the series, has come to a point where he has destroyed the very thing he loved in order to serve the President. What happens when he realizes that his loyalty is too high a price, as Claire did? Assuming a fourth season is in the works, obviously some of these questions will be answered. However, with good television at this point in its history, not all answers are forthcoming, simple, or even answerable. Television needs not provide us the answers we seek simply because it is a conventionally simple medium. There is a malaise, it seems, that has set in in the series, but only because there is a malaise in the White House, in the Underwood administration. This is not something that is happening due to bad writing but fine writing, writing which brings us into that malaise. It is, in many ways, the malaise of the office which Underwood holds: the inability to make real change in a job considered to be all-powerful weighs on this President and, ultimately, on the series itself. That said, I do not see this as a problem: I see it as a sort of triumph. No, it is not the most enjoyable season of the three but it is, in many ways, the most intriguing, the most developed as a whole. It draws us so deeply into the Underwoods's world in the most subtle of ways that it is hard not to end the season, which itself ends on a series of devastating notes, with some hope for the future of the series, with some hope that the downfall of the Underwoods can provide some satisfaction that some level of good can eventually triumph. I agree, this season was well below what I expected. You left out, however, one important plot point. I think Claire is pregnant. Her blood being drawn, the references to children, and moment she is seen with the mother and baby. All of this, I believe points to Claire being pregnant, and will be the reason for reconciliation with Frank.